The practice of nurturing body, mind & soul. Kerry is an intuitive yoga teacher who is experienced at guiding students of all levels though the fundamental steps of their yoga practice. During July – September all classes are taught outside on the beach. Kerry offers private tuition for those seeking a more personalised and tailor made yoga practice. If you are new to yoga or if you have an injury or health concern then private lessons can help you build a strong foundation before joining group classes. 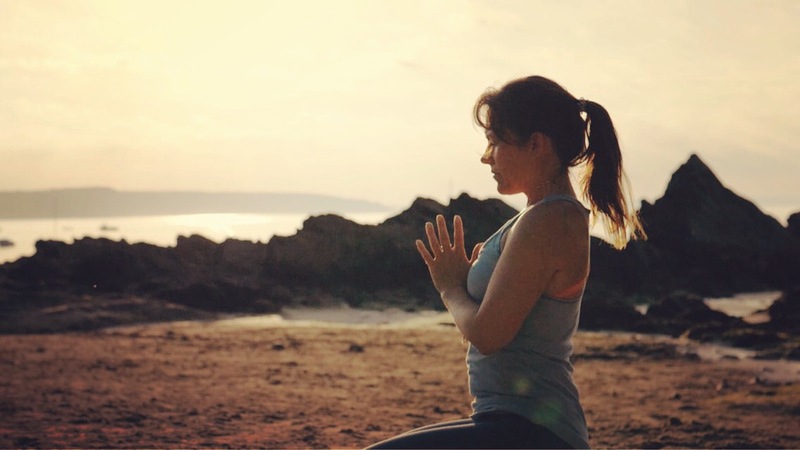 Likewise if you wish to develop strength and ease in more challenging postures or wish to learn more about meditation and relaxation then a private lesson with Kerry will help you get the most out of your practice. Kerry also offers private group lessons. If yoga is something you would like to bring to your friends and family or into your office environment, then please do not hesitate to get in touch.